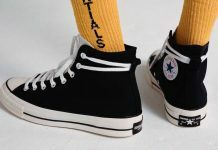 Today CONVERSE Inc. announces the launch of the limited edition Converse Chuck Taylor All Star ‘70 Stüssy 35 Collection in partnership with Stüssy to commemorate their 35th anniversary. 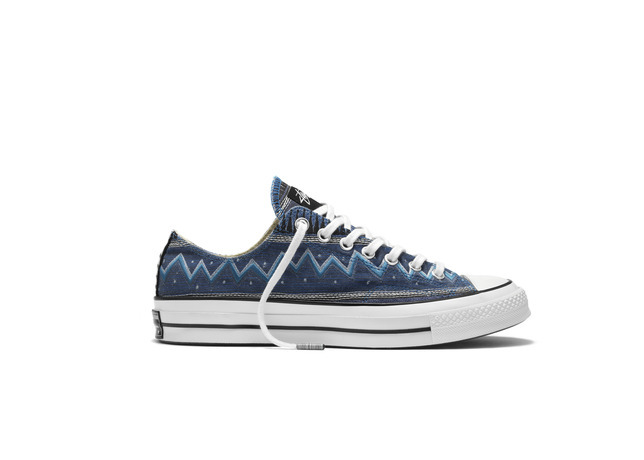 This release marks Converse’s fifth collaboration with Stüssy – a natural synergy of two born and bred American originals. Since its launch in 1980, rooted in California surf culture, Stüssy has grown to become a world-renowned lifestyle brand with tribes in major cultural hubs from NYC to London, to Tokyo and Paris. 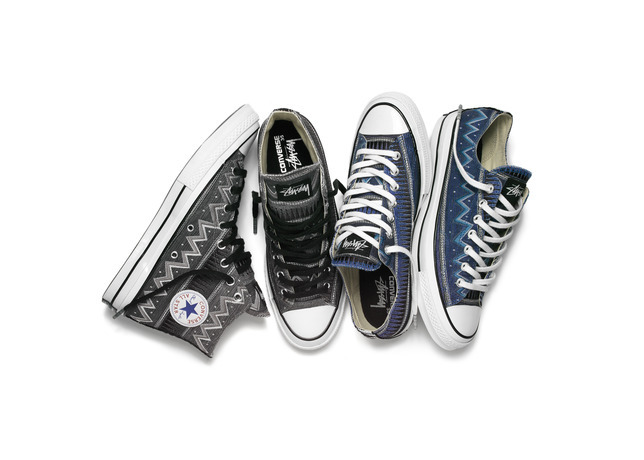 Converse brings Stüssy’s unique graphic heritage to life with exclusive designs that pay homage to their signature “Tom Tom” prints – complete with wavy lines, dots, zigzags and the well known crown emblem – but modernized to create something new for today. 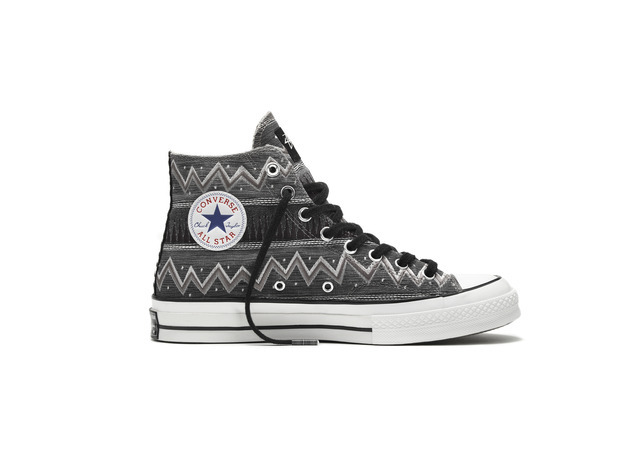 The model of choice is Converse’s premium, re-crafted Chuck from the 1970s in high-top and ox silhouettes, with both sneakers’ uppers featuring a custom engineered print that is layered with multi-dimensional embroidery. 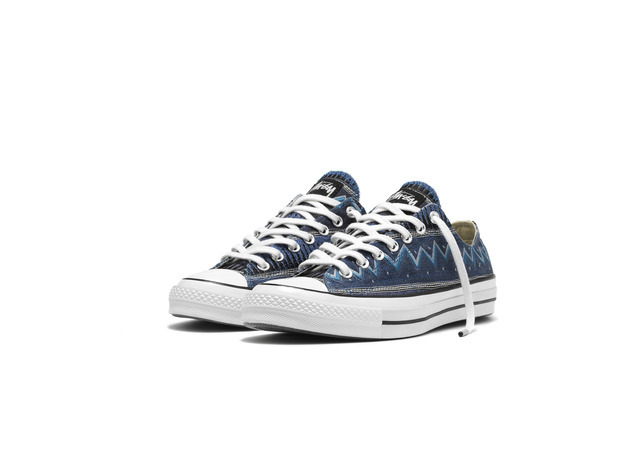 The result is an extremely unique fabric realized in achromatic shades and blue hues, complemented by striking monochrome woven heel stays and three pairs of laces with printed aglets. The iconic Stüssy logo is applied to the oversize tongue labels, cushioned sockliners and translucent outsoles. 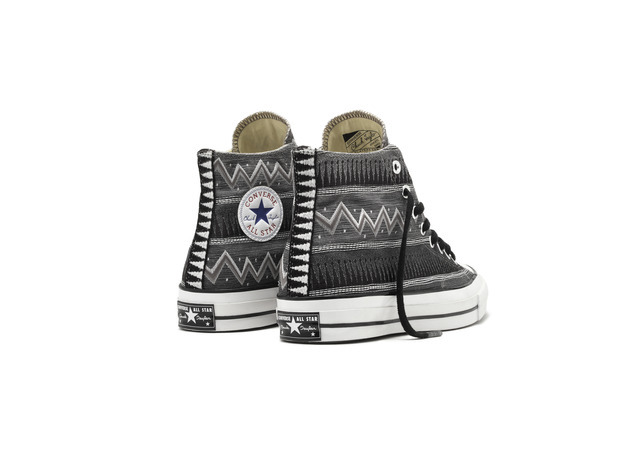 Converse First String is a limited-edition collection that celebrates craftsmanship, authenticity and collaboration at the highest level. 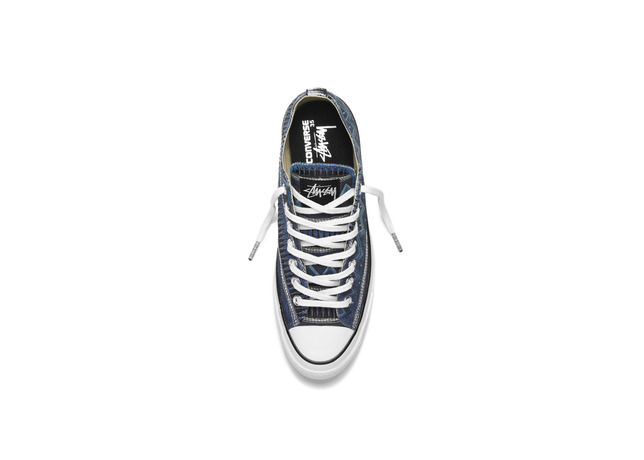 The Converse Chuck Taylor All Star ‘70 Stüssy 35 Collection will be available for purchase starting Friday, August 28, 2015 at Stüssy Chapter stores worldwide, with a general release on Friday, September 4, 2015. 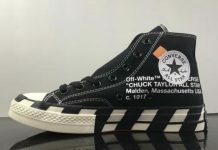 They will be retail for a SRP of $130 USD (high-top) and $125 USD (ox).